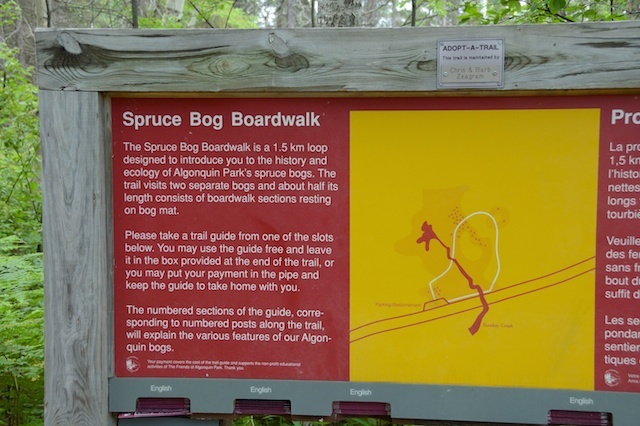 Algonquin Park, has some wonderful walking trails that range in difficulty and length and are interpretive due to the fact that each trail explores a different aspect of Algonquin Park. At each trail entrance there is a map and a trail guide booklet for your use on the walk. Trails are open year round but access to the parking lots vary in winter, and the guide booklets located at the trail entrances are only available from late spring to early fall. The booklets can also be purchased at Algonquin Park Bookstores. Please see the Algonquin Park Website for a listing and link to all the interpretive walks descriptions, pictures, and maps.